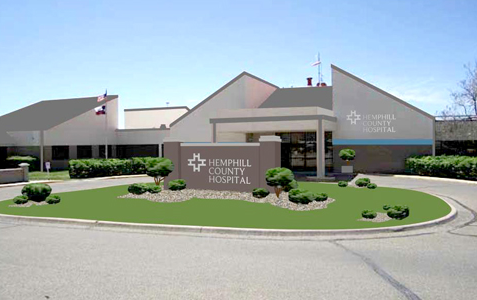 Hemphill County Hospital is located in Canadian, Texas, nestled in the stunning mesas and grasslands of the Texas panhandle. Our hospital is the cornerstone of healthcare services for Hemphill County and surrounding communities with 24-hour emergency care services. We strive to bring health and knowledge to our area through community outreach and exceptional healthcare services. Caring for the residents of Hemphill County, as well as those in the surrounding communities, is a responsibility we take very seriously. Our hospital staff, emergency care, hospice, home health, physical therapy, and family clinic are what make our hospital exceptional. They are our family, friends, and neighbors who lend their expertise, hearts, and talents to providing compassionate care when you need it most. Our Mission: Hemphill County Hospital (HCH) serves the region’s health needs through exceptional care in a compassionate environment by dedicated professionals. Whether you're visiting for the weekend, returning for one of our annual celebrations, or moving into our community, your friends and neighbors in Canadian welcome you to our "Oasis on the Prairie." The River Valley Pioneer Museum tells the tales of years gone by in our area and often serves as an exhibit hall for local artists. The Citadelle Art Museum, opened to the public in May of 2009, houses a world-renowned collection of art. Work up your appetite by taking a walk on the historic Canadian River Wagon Bridge or by strolling around the paths at beautiful Lake Marvin. Don't exhaust yourself in the great outdoors for too long because Canadian is home to many unique retail shops that you won't want to miss! After a busy day of sight-seeing and shopping, you'll want to recharge at one of our many excellent restaurants and then head to the Palace Theatre, celebrating 100 years in 2009, where they feature first-run movies using world premier digital projection and sound technology. Or, you may want to attend a live concert at the state of the art Texas Crown Performance Hall where top rated artists from around the country grace our community with music of every genre from the country music of the Nitty Gritty Dirt Band to a Las Vegas style show featuring the "Rat Pack" crooning the standard tunes of Dean Martin, Sammy Davis Jr and Frank Sinatra!